Find me on social media things! Have you ever thought, “Oh man… [insert obnoxious task of a crafting project] is super tedious. I wonder if there’s a shortcut,” and hopped on The Google and did the research only to find out a bunch of lies?? This was me last Saturday. 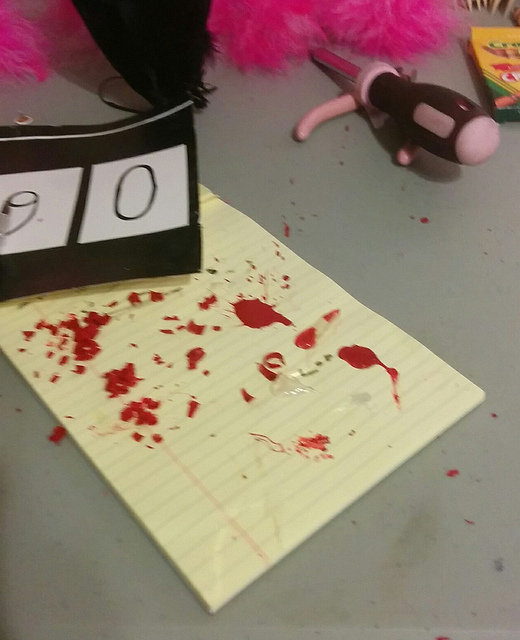 I was prepping the formal invitations for our masquerade ball which included a wax seal. Proper candled sealing wax is super annoying after the 15th invitation. (I’m putting a tutorial on my invitations later so check back if you’re curious about that.) I wondered if I could find some glue sticks for my tiny glue gun that would be the right color so I wouldn’t have to keep lighting this candle thing over and over. I went to the craft store and there were plenty of silver and gold glitter sticks in the wedding section, but no solid red that I needed. The 3 year old in me thought, “Crayons would fit in that space. TRY IT! !” But the almost 30 year old in me thought to Google it first. Sure enough, someone claims it can be done. The molten liquid wax was just that – molten liquid and not hot glue-like in the least. One touch of the trigger on the glue gun and SPLAT. Also no more glue gun. Thank goodness it was only $3 to begin with. 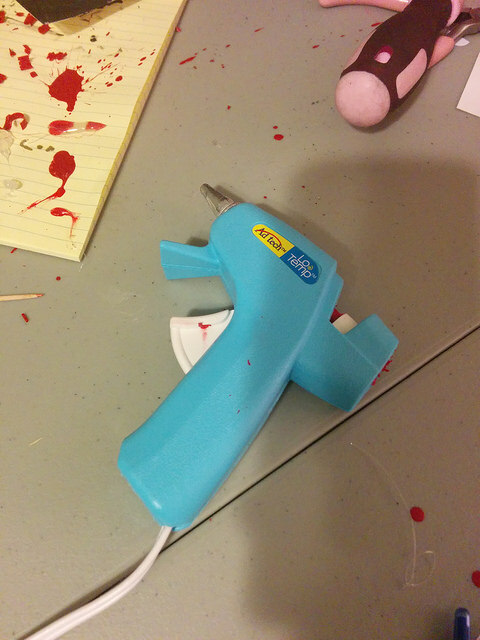 Just for full disclosure, this is the glue gun I had. RIP tiny dude. 2. Sometimes it’s worth taking the obnoxious time to do something the long way. 3. Do not put crayons in glue guns unless you’re willing to kill a glue gun and get splatter painted with really hot colored wax. There’s a tiny chance it might work for you depending on the level of heat your glue gun produces, but it likely isn’t going to go as planned. You’ve now been warned. Posted 5 years ago by Danielle.